Henry V is a history play by William Shakespeare, believed to be written in approximately 1599. Its full titles are The Chronicle History of Henry the Fifth (in the First Quarto text) and The Life of Henry the Fifth (in the First Folio text). It tells the story of King Henry V of England, focusing on events immediately before and after the Battle of Agincourt (1415) during the Hundred Years' War. 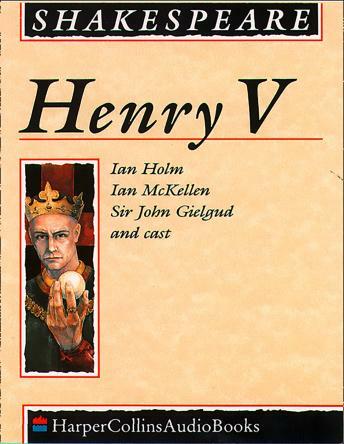 The play is the final part of a tetralogy, preceded by Richard II, Henry IV, part 1 and Henry IV, part 2. The original audiences would thus have already been familiar with the title character, who was depicted in the Henry IV plays as a wild, undisciplined lad known as 'Prince Hal.' In Henry V, the young prince has become a mature man and embarks on an attempted conquest of France.